Malvern Panalytical provides a wide range of material characterisation systems used throughout the chemicals and chemical processing industries. Our cutting-edge systems facilitate the precise measurement of an extensive list of parameters depending on customers’ individual needs, including particle size, shape, rheological properties and elemental concentration, allowing users to optimise their products and better predict how they will behave during use. Malvern Panalytical helps to solve complex analytical challenges and provide data for optimising products and processes, predicting how products will behave in use and improving productivity. They are used for materials ranging from polymers in solution, particle and nanoparticle suspensions and emulsions, through to sprays and aerosols, industrial bulk powders and high-concentration slurries. Laser diffraction is a widely used particle sizing technique for materials from sub-micron to several millimetres in size. 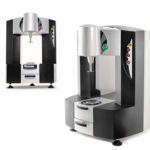 Mastersizer 3000 is a laboratory instrument that delivers rapid, accurate particle size distributions for wet and dry dispersions. 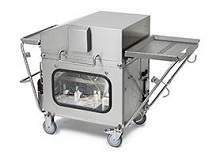 It offers exceptional performance in a small footprint and delivers highly reliable, operator-independent measurements. Insitec systems provide online continuous particle size analysis for efficient, cost-effective monitoring and control of industrial processes. They are suitable for process streams from dry powders to hot, sticky slurries, sprays and emulsions. Spraytec measures spray particle and droplet size distributions in real-time during the course of a spray event, providing data for efficient development of sprays and aerosols. 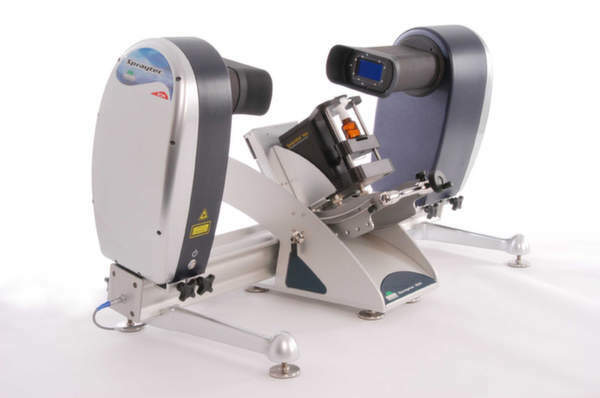 Flexible configuration enables droplet size measurement for a wide range of products. 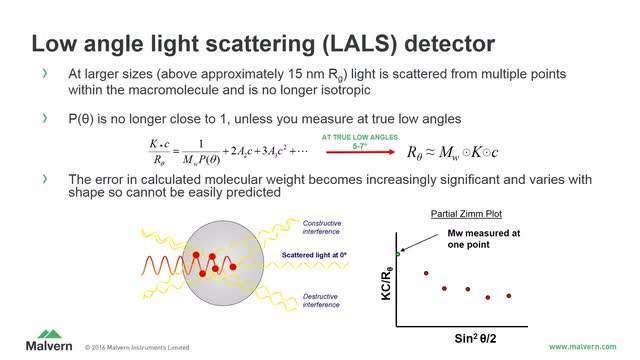 Dynamic light scattering (DLS) is a non-invasive, well-established technique for measuring the size and size distribution of molecules and particles in the submicron region, with the latest technology measuring less than 1nm. It is typically used to characterise particles, emulsions or molecules dispersed or dissolved in a liquid. 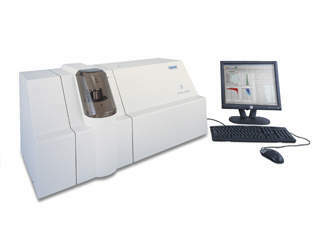 The Zetasizer series measures from less than 1nm to several microns using DLS. 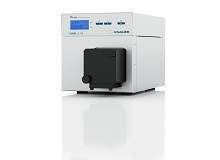 Zetasizer Nano systems also measure zeta potential and electrophoretic mobility using electrophoretic light scattering, and molecular weight using static light scattering. Malvern Panalytical’s NanoSight systems use nanoparticle tracking analysis (NTA) to characterise nanoparticles from 10nm to 2,000nm in solution. Each particle is individually but simultaneously analysed by direct observation and measurement of diffusion events. This particle-by-particle methodology produces high-resolution results for particle size distribution and concentration, with visual validation. A fluorescence mode provides differentiation of labelled or naturally fluorescing particles. Particle shape and size can significantly impact the performance and process handling of particulate materials. It may influence properties such as the bioavailability of drug particles in tablets and suspensions, material strength in metal and ceramic sintered components, printing quality of toners and solder pastes, packing behaviour of chromatography columns, quality of mineral-based coatings finishes and the cutting performance of silicon carbide (SiC) abrasives for solar panel manufacture. Morphologi imaging-based systems provide particle size and shape measurement for dispersed samples from 0.5 microns to several millimetres. 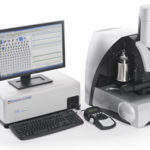 The addition of Raman spectroscopy in the Morphologi G4-ID system combines automated imaging with chemical identification of individual particles in a technique known as morphologically directed Raman spectroscopy (MDRS).This enables possible chemical identification of individual particles within a multi-component blend. Also known as size exclusion chromatography (SEC), gel permeation chromatography (GPC) first separates dissolved macromolecules by size, based on their elution from a gel-filled chromatography column. 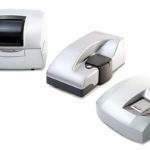 Light scattering, viscometer and concentration detectors then measure absolute molecular weight, molecular size and intrinsic viscosity, providing information on macromolecular structure, conformation, aggregation and branching. These parameters are fundamental to polymer performance in multiple applications. Information from Malvern Panalytical’s GPC / SEC systems helps in controlling the strength, toughness and other performance attributes of materials and tailoring the behaviour of polymer-based products. Rotational, capillary and microfluidic flow rheometers from Malvern Panalytical enable measurement of flow and deformation properties of materials, from dilute, weakly structured solutions to concentrated gels, slurries and pastes. The resulting data is used to understand and control product stability and performance. Kinexus rotational rheometers are sensitive enough to measure the viscosity of dilute polymer solutions, yet sufficiently robust enough to measure viscoelasticity of high modulus polymers or composites. 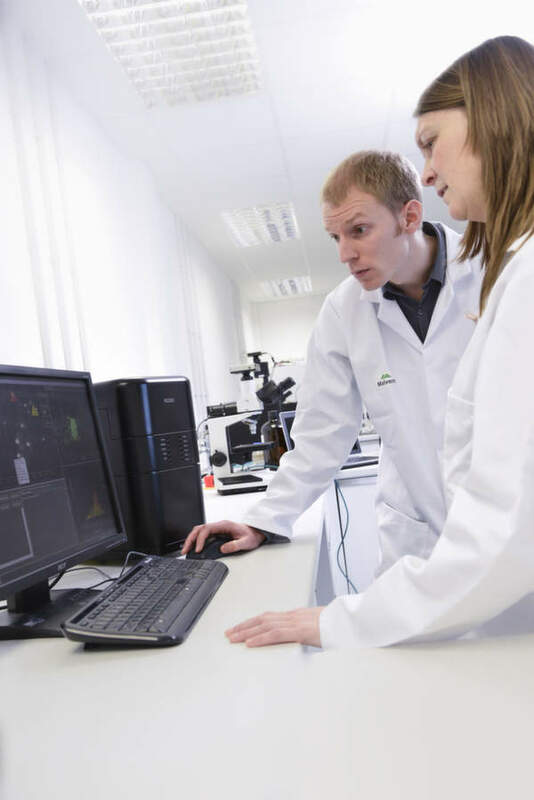 Unique software provides total flexibility of test set-up for research and development, through to standard operating procedure (SOP) driven testing for more routine rheological requirements. 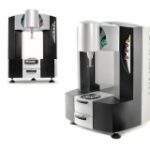 Rosand capillary rheometers characterise the rheology of materials by extrusion under the high pressures, shear rates and temperatures relevant to processing. Materials include polymer melts, ceramics, foodstuffs, inks and coatings. Malvern Panalytical was formally established on 1 January 2017 by the merger of UK company Malvern Instruments and Netherlands-based PANalytical, along with its subsidiaries ASD and Claisse. The company has a global sales and service presence and currently employs more than 2,000 staff worldwide, while operating a number of research and manufacturing sites across Europe, the US and China. Malvern Panalytical is dedicated to the development of innovative materials characterisation tools for a wide variety of industrial applications in order to deliver valuable actionable insight and assist in the creation of high-quality products. The invention allows for more rapid and accurate characterization of ore materials compared to other systems of measurement. X-Ray Fluorescence (XRF) spectrometry can be used to identify the chemical composition of an extensive range of materials, including solids, powders and liquids. 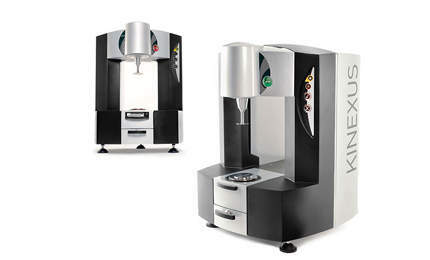 The Mastersizer range comprises easy-to-use, accurate and reliable particle size analysers. The high-performance devices cover particle sizes ranging from nanometers to millimetres, providing reliable independent measurements. 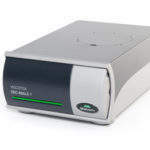 MicroCal PEAQ-DSC systems deliver highly sensitive, easy-to-use microcalorimetry that reduce the time and cost associated with stability testing and comparability analysis. 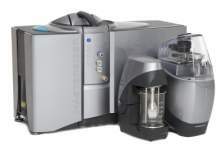 MicroCal PEAQ-DSC microcalorimeters are effective and easy-to-use tools that facilitate thermal stability characterisation of proteins and other biomolecules, primarily for biopharmaceutical development and manufacturing applications. 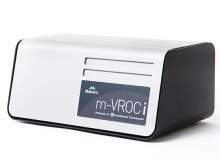 The Malvern m-VROCi utilizes unique microfluidic viscometer / rheometer on a chip technology to provide high-resolution viscosity measurements into the ultra-high shear rate regime. 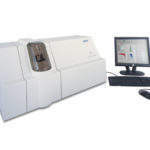 MicroCal PEAQ-DSC automated systems provide sensitive, high throughput protein stability analysis with low sample consumption in an automated, fully integrated platform to facilitate maximum productivity. 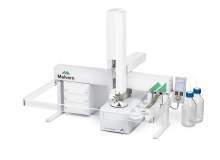 Malvern Viscosizer TD is an automated biophysical characterisation tool utilising Taylor Dispersion Analytics and providing ultra-low volume, solution-based molecular size and stability measurement capabilities, combined with Poiseuille flow for relative viscosity assessment. 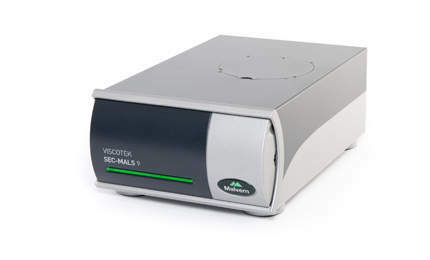 The Viscotek range comprises complete systems, software and detectors, which are all supported by Malvern's worldwide network to provide training and advice. Accurate measurement of the polymer or protein concentration profile is essential to good molecular weight or structure data. The high-stability Viscotek UV detector is ideally suited for multi-detection GPC/SEC. Malvern's Zetasizer AT brings the industry leading Dynamic Light Scattering (DLS) technology of the Zetasizer Nano to the process development and manufacturing arena, enabling real time monitoring of nanoscale particle processes online. 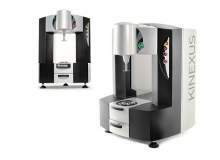 Kinexus is a next-generation rotational rheometer platform that was developed according to industry feedback. Differential Scanning Calorimetry (DSC) is a technique for understanding the stability of proteins and other biomolecules. It has wide application in protein engineering, rational drug design and biopharmaceutical production, where developing stable proteins is a critical goal. 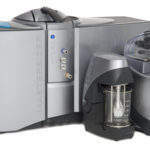 MicroCal DSC microcalorimeters are powerful analytical tools for characterizing the stability of proteins and other biomolecules, requiring minimal assay development, no labelling or immobilization. 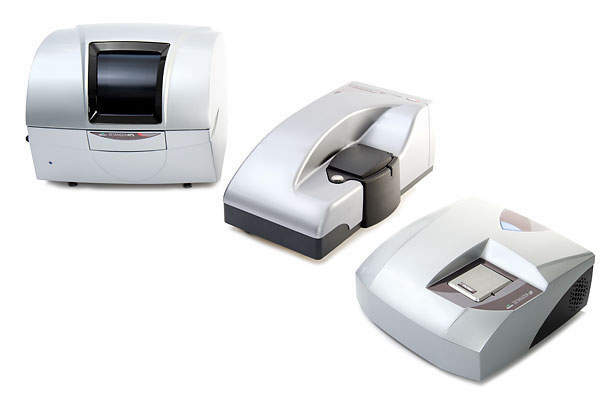 The automation and high sensitivity afforded by MicroCal VP-Capillary DSC systems permits screening of large numbers of samples at low concentrations minimizing the consumption of valuable samples with little hands-on effort. Powder X-ray diffraction (PXRD) processes are commonly used within the chemicals industry to detect traces of polymorphs. Additive manufacturing (AM) processes have undergone a significant transition in recent years from a simple prototyping solution into an innovative, economically expedient method of component production. Gold nanoparticles are one of the most popular and extensively researched types of nanoparticle; a Google Scholar search of the term results in over 500,000 hits. Rheology is as much about the deformation of solid-like materials. 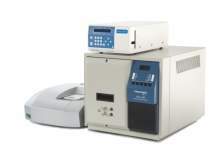 Malvern Panalytical is pleased to offer its latest light scattering analysis systems, Zetasizer Pro and Zetasizer Ultra, which are equipped with both dynamic light scattering (DLS) and electrophoretic light scattering (ELS) capabilities for maximum performance and versatility. 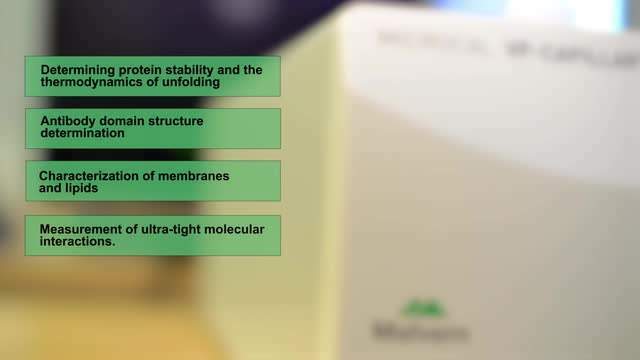 Lipsomes are often used as drug delivery systems, and therefore it is important that they are well characterised to ensure easy manufacturing and batch release. During virus development processes, it is vital to discern the virus concentration at each stage of the procedure in order to ensure optimise the clone used and facilitate maximum production yields. Malvern Panalytical’s sophisticated Epsilon 4 X-ray fluorescence (XRF) spectrometer is capable of accurately analysing both major and minor elements within cement samples. 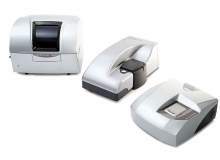 Originally developed for use with Malvern Panalytical’s innovative X-ray fluorescence (XRF) spectrometry systems, Omnian is also available for the company’s cutting-edge bench-top Epsilon 4 solutions. Leading chemical analysis specialist Malvern Panalytical has announced three major seminar sessions to be held throughout the remainder of 2018. Malvern Panalytical has announced three new exclusive webinar sessions, which are set to be held during August 2018. 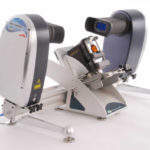 Material characterisation solutions specialist Malvern Panalytical will be holding a series of webinar sessions throughout this month, which are set to cover a wide range of topics. Industrial analytical technology specialist Malvern Panalytical is slated to unveil its latest Empyrean multipurpose X-ray diffraction system at the 16th edition of the European Powder Diffraction Conference (EPDIC16), which is set to be held in Edinburgh, UK, from 1-4 July. Malvern Panalytical has unveiled a lineup of exclusive seminar sessions, which are scheduled to take place throughout the remainder of 2018. Malvern Panalytical is pleased to announce that the company will be holding three webinar sessions over the coming months. 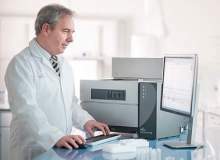 Leading measurement and characterisation systems provider Malvern Panalytical has unveiled a new line of Zetasizer® Pro and Ultra units, which have been optimised for the chemicals sector. UK-based characterisation technology specialist Malvern Panalytical is set to present a series of webinars during May 2018, which will cover a wide range of topics related to the chemicals sector. Material characterisation solutions specialist Malvern Panalytical is pleased to announce that the company will be running a series of webinar sessions during April 2018. Malvern Panalytical is pleased to announce the launch of its new range of Morphologi® particle characterisation systems, Morphologi 4 and Morphologi 4-ID. 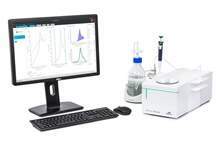 Malvern Panalytical is pleased to announce the launch of the new Epsilon 4 benchtop analytical tool, which delivers fast and reliable at-line elemental analysis for chemical applications. Dynamic Light Scattering (DLS), alternatively known as either Photon Correlation Spectroscopy or Quasi-Elastic Light Scattering, is an innovative method of analysing the size of small particles within a solution at the sub-micron level. PANalytical is pleased to announce that the first of the company's 2018 series of webinars will take place on 22 February, focussing on the application study of precision agriculture and spectral signatures. Malvern is pleased to announce that the company will be demonstrating its innovative new nanoparticle characterisation platform known as NanoSight NS300 at a live launch event, which is set to take place on 18 January. Malvern Panalytical has announced the launch of a collaborative project that aims to support the development of existing and next generation biopharmaceutical products. 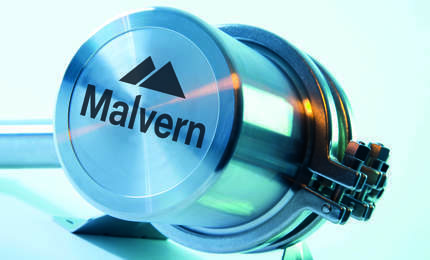 Malvern is pleased to announce that the company will be conducting a webinar entitled 'Transforming the Future of Particle Characterisation: Clarity by Design' on 4 October. Malvern PANalytical is pleased to announce it will be hosting a webinar entitled 'Rheology of Soft Matter: Gels and Soft Glass Transition' on 14 September. Leading analytical X-ray instrumentation and software provider PANalytical is pleased to unveil its latest solution, the new Epsilon 1 X-ray fluorescence (XRF) spectrometer. Understanding the make-up of crystalline structures is a vital aspect of the characterisation of new compounds, and can be regarded as an important first step towards the possibility of tailoring its properties. Malvern is set to host a series of webinar sessions throughout July and August. Malvern is pleased to announce it will be hosting a number of webinar sessions throughout June, discussing the merits and applications of number of chemical particle analysis methods. Comparative analytical data is at the foundation of any successful biosimilarity programme. As its name implies, a viscometer is used to measure the viscosity of a given fluid. Malvern Instruments will be running two webinar sessions this month; the first will discuss the potential applications of differential scanning calorimetry in protein characterisation, while the second will cover the use of particle size analysis in cement plant operations. On 21 February, Malvern will host the unveiling of the next major step forward in protein stability characterisation for the regulated environment: the new MicroCal PEAQ-DSC. The efficiency of a particular powder bed additive manufacturing process, and the overall quality of the finished components, is to a large extent dependent on the packing density and flow behaviour of the metal powders involved. To celebrate the knowledge, support and dedication of our employees we are introducing our first live panel discussion to help you solve your current challenges. We invite you to write in your questions, comments, feedback and wish lists for our panel to answer. Gel Permeation Chromatography (GPC), also known as Size Exclusion Chromatography (SEC), is a very popular analytical tool for characterizing natural and synthetic polymers. The market for batteries is rapidly growing, and the increased demand for portable electronic devices, including mobile phones and laptops requires greater advances in battery technology in order to provide a lightweight, long-lasting and stable power source. The self-association characteristics of molecules in dilute solutions can provide an assessment of stability at an early stage in development. Paints or coatings, similar to many commercial products, must be optimized for their end use performance, which for paints and coatings includes leveling behavior, pigment dispersability, sag resistance, applicator loading and film thickness, all of which depend on a coatings rheological behavior. Malvern has announced it will be demonstrating its new nanoparticle size and concentration measurer NanoSight NS3000, which uses Nanoparticle Tracking Analysis (NTA). Malvern is to host a webinar about zeta potential and its importance when controlling formulation stability and product performance. In recent news, the FDA has used key data generated on the Malvern Morphologi G3-ID system to approve the first generic nasal spray drug product containing mometasone furoate. The primary challenge with this approval was proving bioequivalence compared to the innovator product. 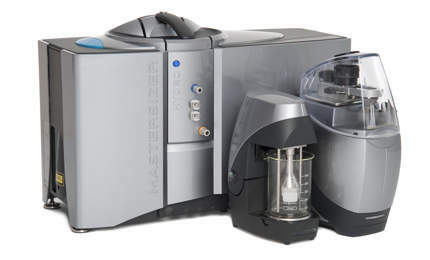 Malvern Instruments has launched the new Zetasizer AT, a robust, online, automated analyzer that uses dynamic light scattering (DLS) to automatically measure the size of nanoparticles in suspensions and emulsions. 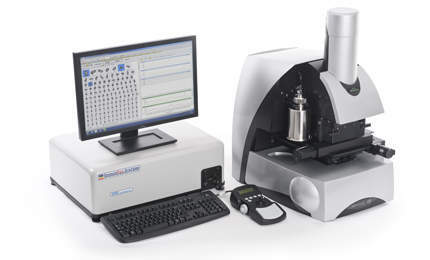 Researchers working on the European Metrology Research Project NanoChOp (chemical and optical characterization of nanomaterials in biological systems), funded by EURAMET, have concluded that the NanoSight Nanoparticle tracking analysis system from Malvern Instruments offers unique insight into the behavior of nanoparticles in biological systems. 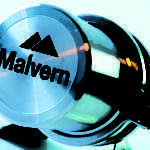 The latest software release along with an expansion of the global technical specialist team, highlight Malvern Instruments' ongoing commitment to extending and supporting the application of NanoSight, a nanoparticle characterisation technology with unique capabilities. A collaboration between UK firm Malvern Instruments and California-based Bio-Rad has developed new analytical tools for the rapid identification of unknown particles. Insights shared by William Bernt, director of Particle Characterization Laboratories, highlight the transformative impact of adding a Malvern NanoSight Nanoparticle Tracking Analysis (NTA) system to the analytical toolkit for nanoparticles. Malvern's new tools for specific analytical challenges in biopharma development will take centre stage at AAPS Annual Meeting and Exposition 2015, in Orlando, US. Malvern Instruments has established a new biopharmaceutical applications laboratory in the heart of San Diego's biotechnology cluster. Insight from CP Kelco, a global leader in the speciality hydrocolloids market, provides a blueprint for the intelligent, cost-efficient deployment of gel permeation / size exclusion chromatography (GPC/SEC) in biopolymer manufacture. 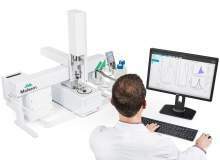 Malvern Instruments has launched a new and improved rSolution platform on their Kinexus rotational rheometer to help customers use rheological measurements more effectively. Analytical systems from Malvern Instruments are now used routinely to advance inkjet formulation at Domino Printing Sciences in the UK, one of the world's leading printing technology companies.